Sardar Sarovar, an impressive cement wall of 121 meters height, stops river Narmada’s flow. It is part of the faraonic Narmada Valley Development Project that plans the construction of more than 3000 dams, some of them of huge dimensions. 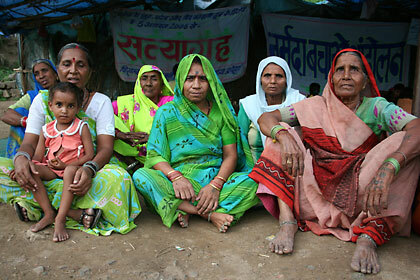 Over two millions and a half people are affected, most of them indigenous adivasis who are losing their houses and ways of life. Women have gained consciousness of the dimensions of the problem and have gained the main role in this unequal fight against the interests of the government and the big corporations. Is this the single way of development? The situation in the Narmada Valley is an example of the 21st century’s biggest war: water and natural resources control. 1998 “Vacaciones en Paz”. Documentary. Director and Photography. 2008, “IB30”. Documentary serial for TV, IB3 (Spain). Director assistant. 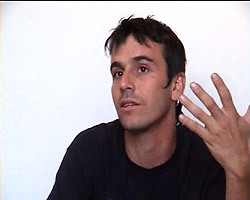 2008 “Más allá de la locura”. Documentary on pre-productión. Director & Writer. 2007, “Yindabad”. Documentary. Director & Writer. 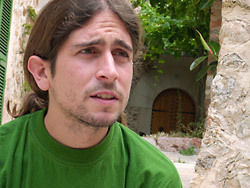 2007, “Caires”, Documentary serial for TV, IB3 (Spain). Director assistant. 2007, “Matèria Fràgil”. Documentary. Director assistant. 2006, “Rerefons”. Documentary serial for TV, IB3 (Spain). Director assistant. 2003, “IIMC” . Documentary. Director & Writer.